 Global Diamond Tools > Blog > Uncategorised > Let’s clear the air! 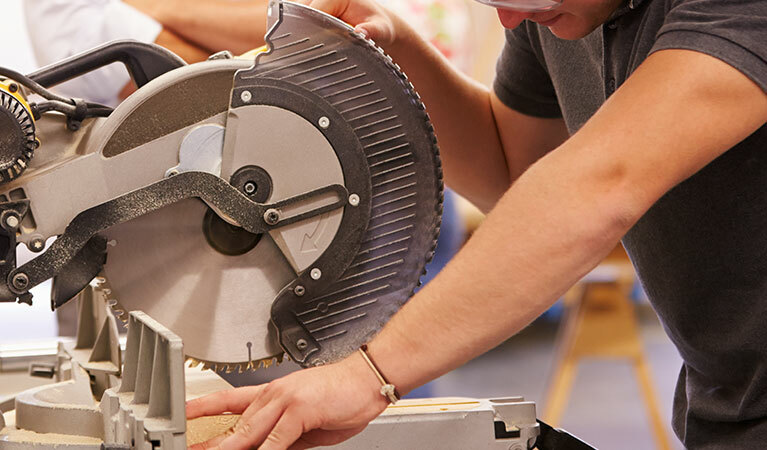 You should protect your lungs when using cut-off saws and diamond blade cutting tools. 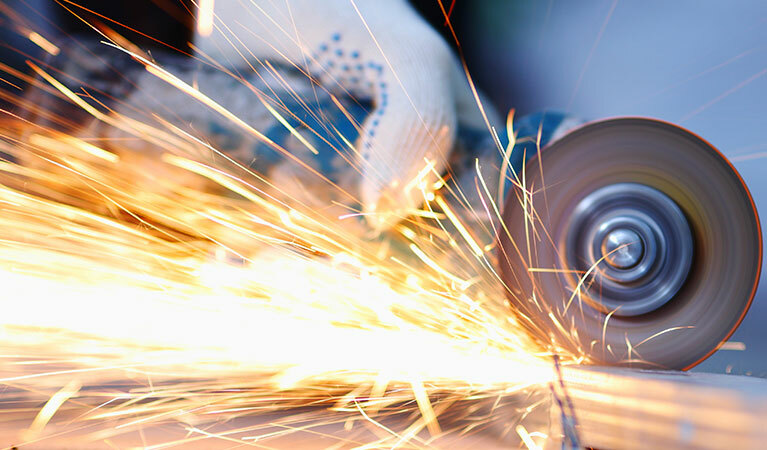 If you regularly use a cut-off saw (also known as a disc cutter, a con saw or a ‘whizzer’) then you should consider the Health and Safety aspects of cutting materials such as kerbs, paving, blocks or concrete. 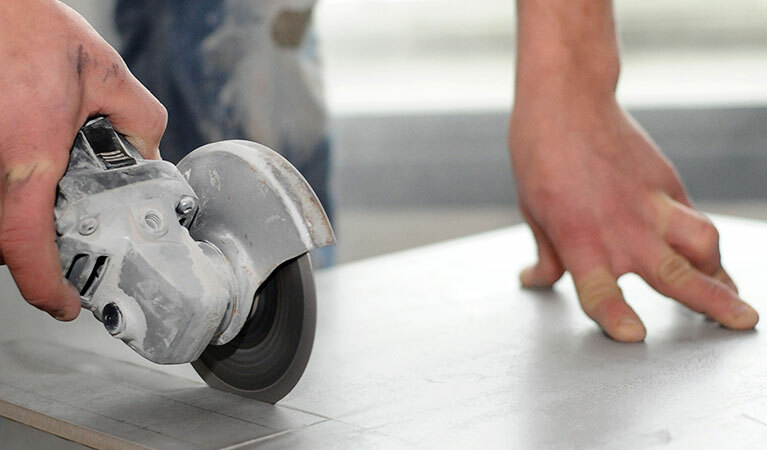 Cutting any of these materials can produce enormous amounts of dust (stone dust). 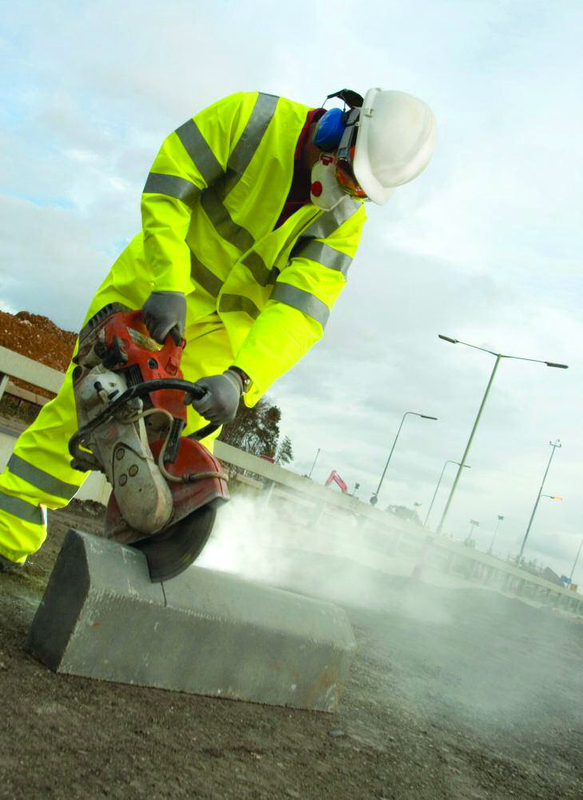 The stone dust will contain some very fine dust called respirable crystalline silica (RCS). Exposure to RCS dust can cause serious health problems and may eventually kill you. 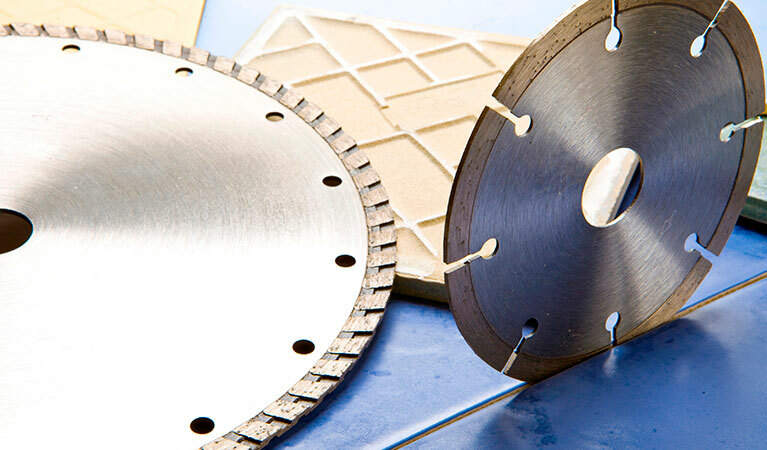 At Global Diamond we always recommend that if you buy our diamond cutting blades you should not only operate your machinery safely but you should consider your working conditions and long-term health. Used correctly, with the right respiratory protection will ensure you protect your lungs. The Health and Safety Executive (HSE) have produced a guide to working safely with cut-off saws. The leaflet explains how RCS dust exposure can affect health and what to do to control the risks. Silicosis makes breathing more difficult and increases the risk of lung infections. It usually follows many years of exposure. But exceptionally high exposures over a few months or years can cause these symptoms. Heavy and prolonged exposure to RCS dust can cause lung cancer. COPD is a group of lung diseases like bronchitis and emphysema that may also be caused by RCS dust, resulting in severe breathlessness and prolonged coughing. The disease is slow to develop and rarely seen in people under 40. It can be very disabling and is a leading cause of death. Remember you can’t always see dust from cutting brick and construction materials. you should also consider that any dust created could harm your workmates and other people standing near you. 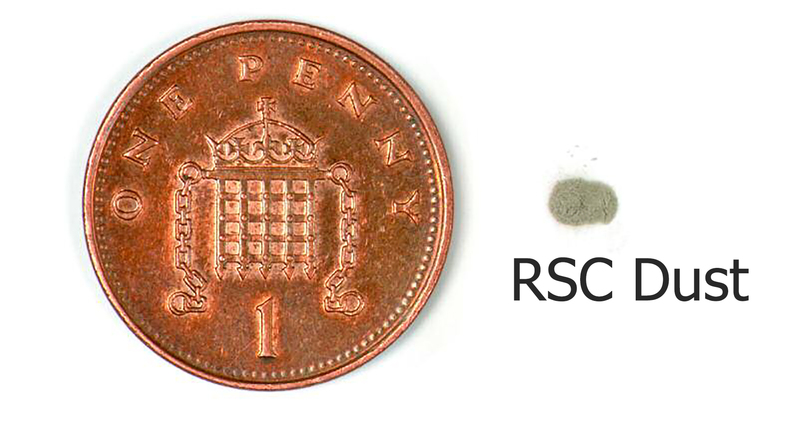 You are at risk if the dust you breathe in over a full shift contains more RCS than the amount shown next to the penny. Managing or reducing the risk of harmful RCS dust. Water suppression is your first line of defence. All modern cut-off saws have an attachment for a water hose. The water can be supplied from a mains feed (the best option) or a pressurised water bottle. You need a minimum flow rate of 0.5 litres per minute to damp down dust effectively. Wear a suitable dust face mask. Check your machinery and safety equipment regularly. Finally consider the safety of yourself and others when you operate a cut-off saw. Use suitable personal protective equipment, such as hard hats, safety glasses and ear defenders. 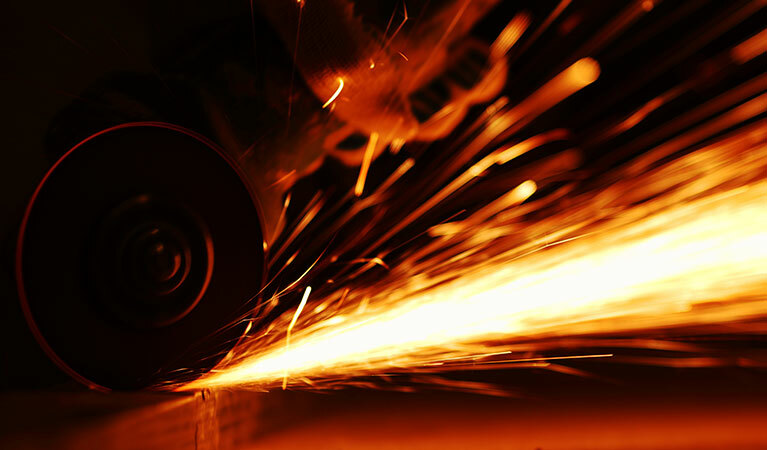 ← Diamond Blades – Sintered or Laser-Welded?